【 The Wait is Over! 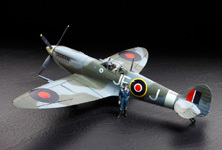 】　The legendary Spitfire was the representative British fighter of WWII and many served with various air forces well into the 1950s. Among these was the Mk.IX, a variant powered by the Rolls-Royce Merlin 60 series engine which was developed to counter the Luftwaffe's Fw 190. Most of the Mk.IX aircraft came equipped with the C wing, two 20mm cannons, and four 7.7mm machine guns. The Mk.IXc, which was issued to units in July 1942, featured a top speed of 669.46 km/h and had superior maneuverability. 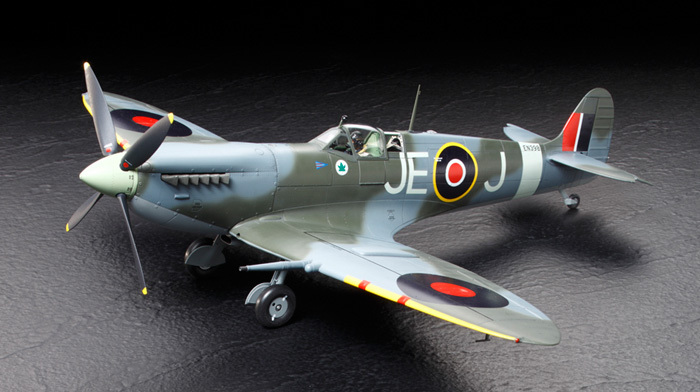 The Mk.IXc not only helped the RAF regain air superiority over the English Channel, but it was also the second most produced Spitfire variant with 5,500 built. They were the RAF's main fighter for the latter half of the war. 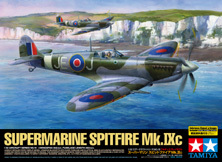 【 About the Model 】　1/32 scale plastic assembly kit of the Spitfire Mk.IXc. ★Overall Length: 302mm, Overall Width: 352mm. 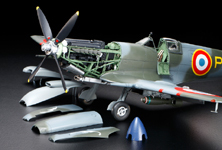 ★2 kinds of parts for top and bottom engine cowlings, wingtips, rudder, and elevators included. ★Features moveable ailerons. Flaps can be depicted in either up or down position. 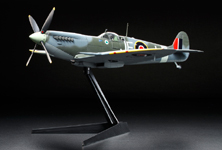 ★Comes with 3 kinds of markings including one to depict the aircraft piloted by RAF ace Johnnie Johnson. ■The sleek form of the aircraft with its slim fuselage and elliptical wings are richly remodeled. 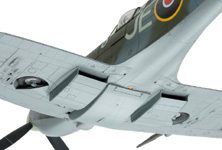 ■0.4mm thick engine cowlings allow for a fully-accurate scale presentation of the engine. Built-in magnets enable cowling detachment even after assembly. ■Panel lines and rivet details provide exquisite realism. 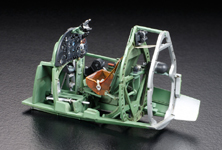 ■Mechanically complicated cockpit features realistic bulkheads and frames. Details are depicted with photo-etched parts. 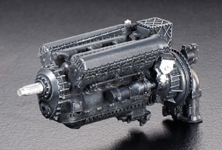 ■Rolls-Royce Merlin engine features impressive details such as carburetor, supercharger, and intercoolers. ■Included stand enables to depict the plane in flight. You can select either stowed or deployed landing gear even after assembly. 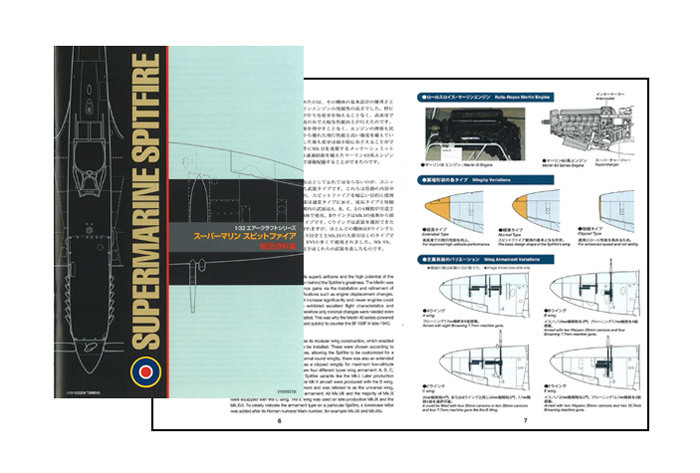 In addition to the historical background of the Spitfire, this booklet includes photographs taken at museums where we researched actual Spitfire aircraft.